Home Only in Jamaica Only In Jamaica! Have you ever been on the road, minding your own business when all of a sudden, you see something so funny or outrageous that you think to yourself, ‘This only happens in Jamaica’? If you have, then we’d love for you to take a photo and share with us! All you have to do is snap a quick picture, share in on our Facebook wall or tag us on Twitter, using the hashtag #OnlyInJamaica. You can also tell us when and where you took the photo. We’ll repost and retweet the best ones as part of our Emancipendence special throughout the month of August. 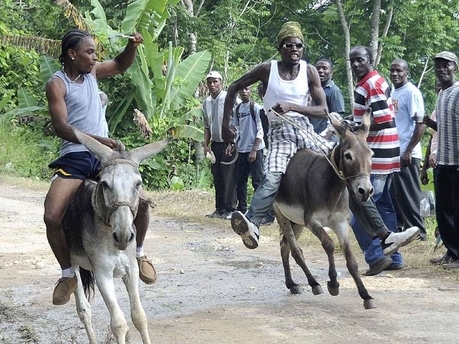 This look at the lighter side of life in Jamaica will surely bring a smile or a chuckle. Please ensure that the photos you share are your property, not pulled from the internet or otherwise sourced from another person.